PUB CRAWL: Mark Your Calendar! Asbury Park, NJ, Saturday, July 16th! 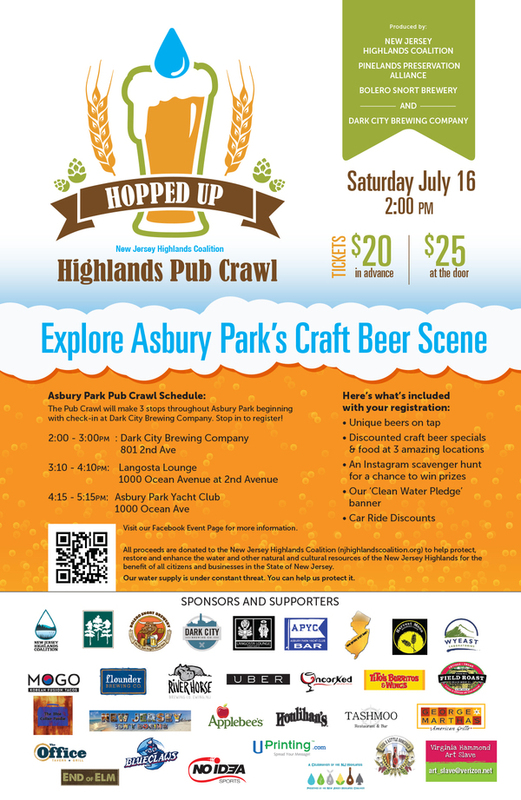 Join us to spread the word about clean water and great craft beer at our Hopped Up Pub Crawl in Asbury Park, where you can enjoy drink and food specials, transportation discounts and contests. The battle for Sparta Mountain WMA continues as we find more information pointing against the "forest Stewardship" plan proposed by the NJDEP. NJDEP says that the goal of the plan is to encourage an increased population of golden winged warblers, a now rare (in New Jersey), small bird that prefers younger forests and forest edges as habitat. 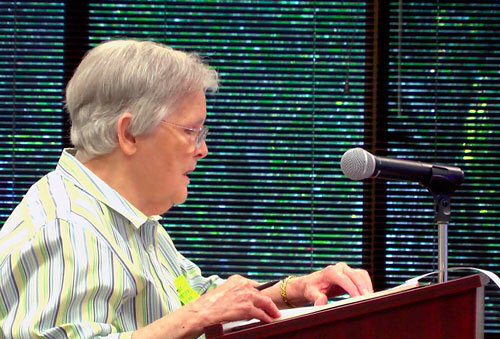 The NJDEP also claims that the forest is uniformly aged between 60 - 90 years old, a fact challenged in research undertaken by Emile DeVito, director of science and stewardship at the New Jersey Conservation Foundation. Larger, older trees play an important role in carbon sequestration as well as providing critical habitats for many other endangered species in New Jersey. The story was covered by The Star Ledger and can be found here: Nothing clear-cut about Sparta Mountain logging controversy. Alternately, view this short video from nj.com to get a better idea of the contrasting positions about this project, and the important role that Sparta Mountain WMA plays in New Jersey’s landscape. Currently the NJDEP is trying to roll back the Highlands Act by weakening the septic density standards in the Preservation Area to allow an increase in development that could be as much as 400%. 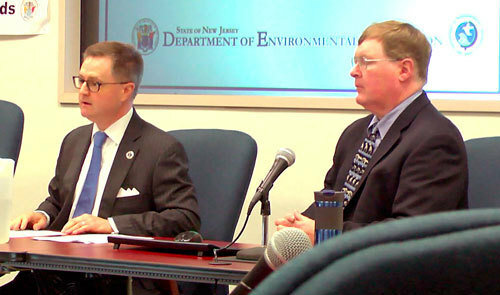 NJDEP denied the request that we, 24 other organizations and Senator Bob Smith made to host additional public hearings outside of the Highland's region. These meetings are important because of the statewide significance of the water resources provided by the Highlands. 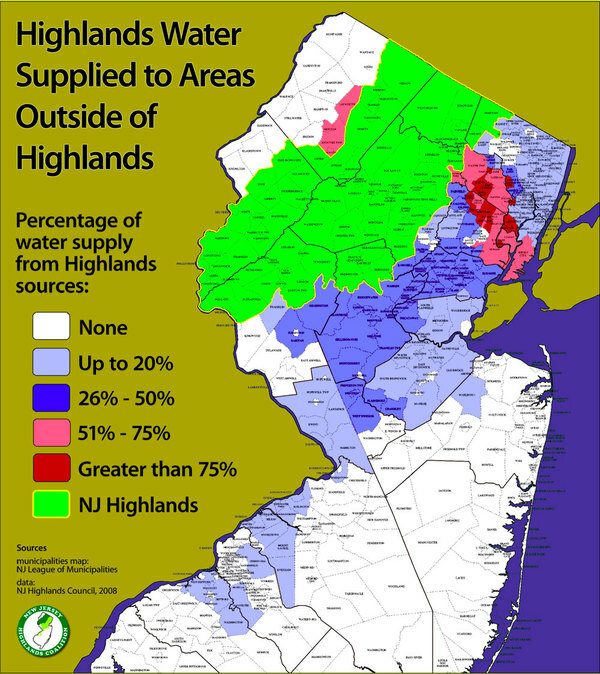 The NJ Highlands Coalition in partnership with NJCF, ANJEC, Raritan Headwaters Assn, NJ Sierra and Clean Water Action, will conduct an additional public hearing, where all oral comments will be forwarded to NJDEP. Stay tuned for details. There was a great turnout for the NJDEP public comment hearing at the Highlands Council office on Wednesday, June 1st where around 100 people attended. With close to 50 oral comments, the majority opposing the NJDEP amendments, there was a strong sense of community present seeking to protect the Highlands Act we fought so strongly to put in place. We thank all who came out in support, and encourage you to submit written comments which can be sent to the NJDEP until July 15th. We will be sending out templates and talking points soon that can be used to help you prepare written comments, or can be copied and submitted to NJDEP. To submit written comments please visit the NJDEP comment website. The Highlands Council meetings have been cancelled for the months of May and June. 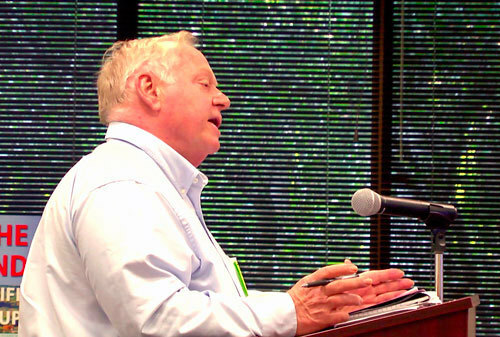 The next meeting is scheduled for 4:00 p.m., July 21st at the Highlands Council’s offices.